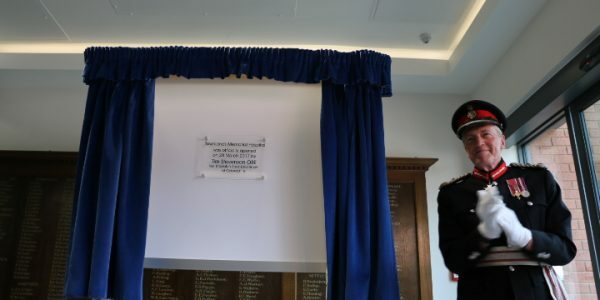 Hospital officially opened by Lord-Lieutenant of Oxfordshire, Tim Stevenson OBE. The hospital is home to a wealth of NHS services operated by Oxford Health NHS Foundation Trust and Royal Berkshire NHS Foundation Trust. Officially opening the hospital the Lord-Lieutenant of Oxfordshire Tim Stevenson OBE thanked all those involved on behalf of Her Majesty the Queen. The Minor Injuries Unit (MIU) and Rapid Access Care Unit (RACU) at Henley offer people enable people to get the care they need closer to home quickly and simply, without a trip to an A&E or an inpatient hospital stay. The opening of the RACU in January means care is now available closer to home, especially for adults aged 65 and over, so they can continue to enjoy living independently and spend time with family and friends. For those who need a little more time with the RACU, there are also eight beds at the neighbouring Chilterns Court Care Centre, operated by the Orders of St John Care Trust. Royal Berkshire and Oxford Health collaborate to operate a multi-disciplinary team of specialised health and social care professionals such as nurses, community nurses, physiotherapy and occupational therapy practitioners, social care coordinators, hospital and mental health staff who are all trained in dementia awareness. Phyllis Davis, 96, recently attended the RACU and was full of praise for the compassionate staff and service.